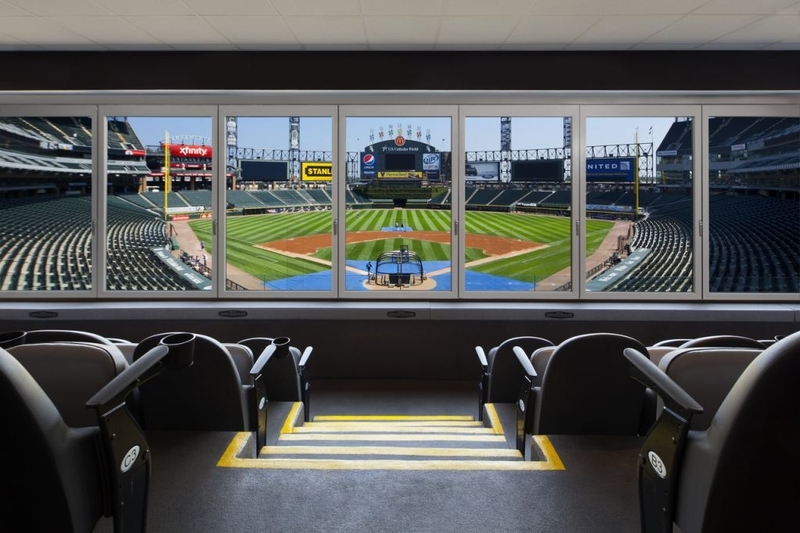 Assured Corporation completed a project at the Chicago White Sox Stadium. Over 300 NanaWall panels were installed in the premium club boxes at the stadium! 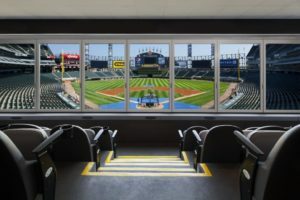 Some of these premium seats offer the best view in the house. The luxury boxes offer unobstructed views when the panels are open, with the flexibility to open and close depending on seasonal weather. When closed, the HSW60 panels allow clear views and a weather resistant barrier. 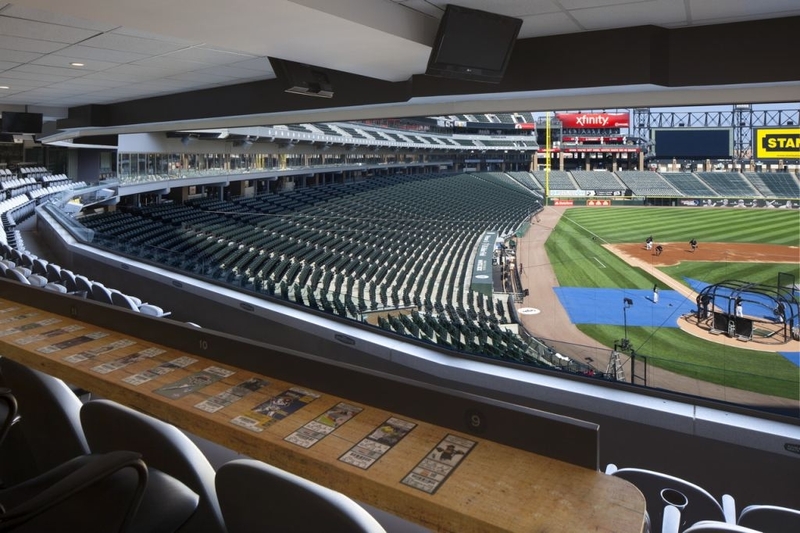 The HSW60 panels at the Chicago White Sox stadium are segmented units. It’s a great example of how an opening can be curved and still use a NanaWall system. The panels slide open and close with ease.